After two successful seasons, Luxury Escapes: The World’s Best Holidays is set to return to Australian screens for a third season, airing at 6pm Saturdays from 14 July on Network Ten. Created in partnership with American Express, our new 13-part travel series follows presenters Sophie Falkiner and Shane Jolley as they explore 22 of the world’s most iconic destinations, touring our partners' properties along the journey. Together, Shane and Sophie will visit some of the world’s most coveted hotels and restaurants whilst enjoying bucket-list experiences that will fuel your wanderlust and entice you to travel near and far, all from the comfort of your own home. What’s more, each destination featured on the show will be matched with unbeatable Luxury Escapes online deals, meaning you can relive the experience for yourself at some of the world’s most revered hotels. 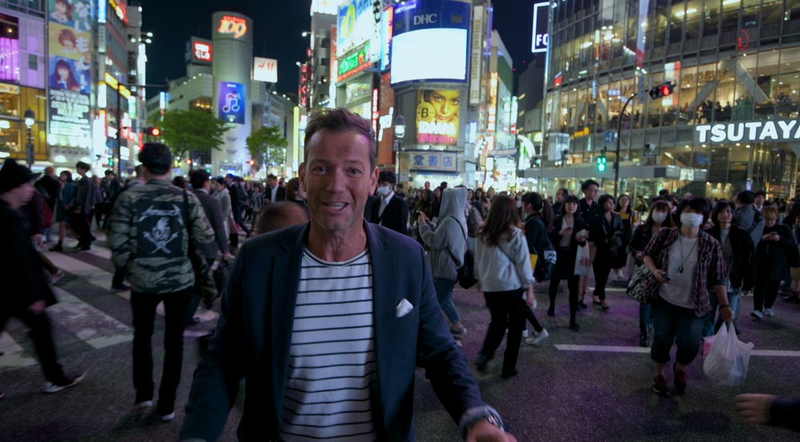 Our 13-part TV show kicks off this Saturday where we say “konnichi wa” to Japan as we explore the food, history and hotels of Tokyo, Osaka and Nara. Join us as we dine at one of the world’s top 50 restaurants, discover the subtleties of sake distilling, taste edible art with dessert chef Janice Wong, and learn about the ancient art of swordsmithing, all while staying in five-star luxury at the Hilton Tokyo and Hilton Osaka.